By 1971, it had become apparent that Breckenridge would thrive as a ski resort, and that visitors were looking for more plush accommodations than old, miners homes and new bare-bones condos, and so the Forest Haus was built. The Forest Haus condos for sale sit on a heated underground parking garage, and is laid out around a central pool, with nice landscaping. Conveniently, the free town shuttle runs along French Street – winter and summer – and is easy to walk to from High Street, where the Forest Haus is located. The shuttle transports riders to any of the ski resort base areas, and connects with the also free county-wide bus called the Summit Stage. Next door to the Forest Haus is Carter Park, which has four tennis courts, a picnic area and pavilion, and volleyball courts, and is the start of a wide network of trails popular with mountain bikers and hikers. The elementary school and its public playground are adjacent to both the park and the Forest Haus. Are you ready to start browsing? Check out the Forest Haus condominium listings below! Otherwise, read more about this Breckenridge development. The more than two dozen units in the Forest Haus are modest two-bedroom, two-bath condos built in a style found in a Tyrollean ski village, with old European details instead of the stark modernist look of many condos built at this time in the area. This complex sits on a heated underground parking garage, and is laid out around a central pool, with nice landscaping. Conveniently, the free town shuttle runs along French Street – winter and summer – and is easy to walk to from High Street, where the Forest Haus is located. Size: from 754 sq. ft to 895 sq. ft.
From the center of Breckenridge, you’ll find the Forest Haus four block east of Main Street. Drive east on Lincoln, Washington or Adams and turn right (south) on High, the Forest Haus will be on the right just before you reach Cater Park. 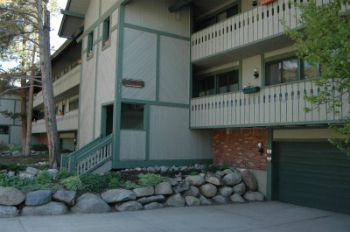 Do you have ay questions about Forest Haus condos, or any other Breckenridge, CO real estate inquiries? Get in touch today.